* Do you have a valid prescription for HGH? + ( $NaN ) Do you have a valid prescription for HGH? No consultation fees. No hidden fees. Do I Need a Prescription for HGH? If you have a valid prescription for HGH that can be faxed, please check 'Yes'. Otherwise please check 'No' and one of our licensed physicians will evaluate your medical information. If a prescription is issued, a $50.00 prescription fee will be added to your final invoice total. Norditropin NordiLet is an easy to use sterile pre-mixed and pre-filled disposable growth hormone pen. Designed for ease of use, these pens are ultra-thin and short, allowing lower pain and anxiety during injection. Commonly used by men and women who are looking to slow the process of aging, this product is popular with everyone from celebrities to bodybuilders to athletes. Made for people who frequently travel and are on the go, Norditropin is the perfect combination of convenience and quality for adults who are looking to replenish lack of growth hormones. 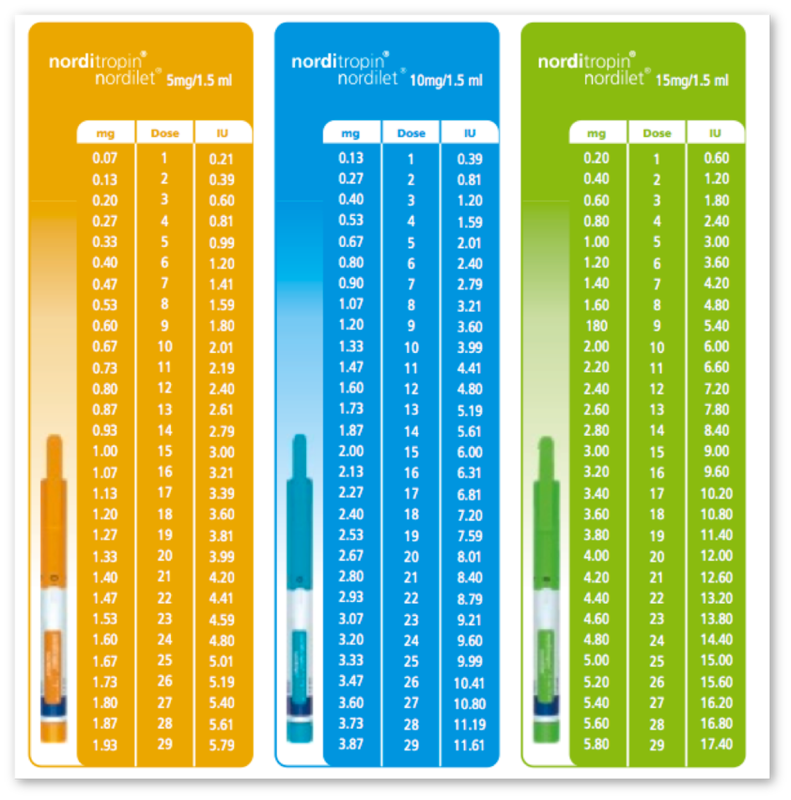 A unique aspect about Norditropin NordiLet pens are that they are the only pre-filled and multi-dose disposable growth hormone pens that can be stored at up to 770F for use within 3 weeks after its first use. 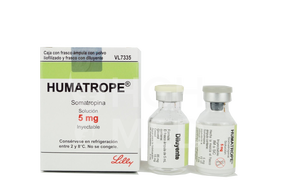 That means it offers multiple doses to patients several times subcutaneously before the hormone is depleted. This is unlike other growth hormone delivery pens that is out on the market. Who should not use Norditropin? you have a critical illness caused by certain types of heart or stomach surgery, trauma or breathing (respiratory) problems. you are a child with Prader-Willi syndrome who is severely obese or has breathing problems including sleep apnea. you have cancer or other tumors. your healthcare provider tells you that you have certain types of eye problems caused by diabetes. you are a child with closed bone growth plates (epiphyses). you are allergic to Norditropin® or any of the ingredients in Norditropin®. What should I tell my healthcare provider before I start Norditropin? have diabetes, had cancer or any tumor, or have any other medical conditions. are pregnant or breastfeeding, or plan to become pregnant or breastfeed. and other medicines may affect how Norditropin® works. What are the possible side effects of Norditropin? high risk of death in people who have critical illnesses because of heart or stomach surgery, trauma or serious breathing (respiratory) problems. high risk of death in children with Prader-Willi syndrome who are severely obese or have breathing problems including sleep apnea. return of tumor or cancerous growths. increase in pressure in the skull (intracranial hypertension). If you have headaches, eye problems, nausea or vomiting, swollen hands and feet due to fluid retention contact your healthcare provider right away. trouble breathing, wheezing, severe itching, skin rashes, redness or swelling, dizziness or fainting, fast heartbeat or pounding in your chest, or sweating. decrease in thyroid hormone levels. hip and knee pain or a limp in children (slipped capital femoral epiphysis). worsening of pre-existing curvature of the spine (scoliosis). middle ear infection, hearing or ear problems in patients with Turner syndrome. redness, itching and tissue weakness in the area of skin you inject. increase in phosphorus, alkaline phosphatase, and parathyroid hormone levels in your blood. What is the dosage of Norditropin? 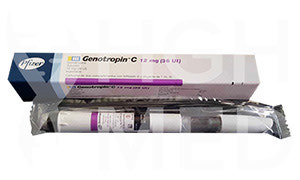 Get the benefits of Norditropin HGH. "Norditropin has been very effective for my overall health, I am impressed by my results these past 3 months, and am now placing another order for me and my wife." "My energy levels and athletic performance have really shown the difference since taking Humatrope HGH. I'm recovering quicker and feel better after workouts. Keep up the good work and great product."